kaiju_anatomy_1, originally uploaded by cubamxc. I’ve managed to come across this blog through an image link to these really cool Animated stereoviews of old Japan. 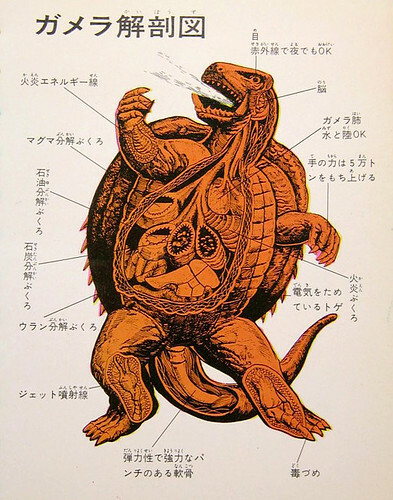 There’s plenty of other cool stuff including this anatomical illustration of Gamera.